The world’s first wine has been produced in Armenia over 6,000 years ago. 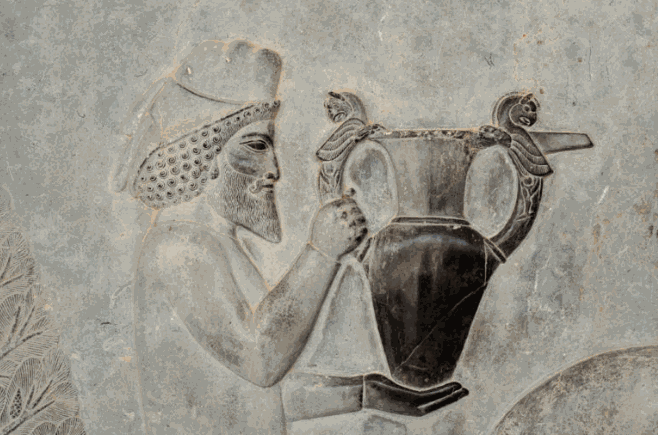 Winemaking has played an important role in Urartu. The Assyrian sources also point to this. “During the invasion, the Assyrian kings pointed out the types of wine in their lists and also the number of grape gardens destroyed. The most demanded captives for them were winemakers,” tells Frunze Harutyunyan, a lecturer at the Wine Academy, and the main wine-maker of “Maran” wine factory. The kings of Urartu of the 8th century BC referred to Armenia as “the land of the vineyards.” The Urartian cuneiform inscriptions, in addition, refer to what has been created and planted in the honor of the god Khaldi. Grape planting was something like a feat. Famous historians and scholars Herodotus, Strabo, and Xenophon have also referred to the Armenian winemaking. According to the writings of Herodotus, Armenians had commercial ties with Babylon and sold wine to them. The winemaking culture passed from the Armenian Highland to Georgia, Persia, Mesopotamia, Egypt, Greece, Rome.Herodotus also noted that at that time, Assyria also made wine, but Babylon received wine from Armenia. This means that the Armenian wine was a lot better. The revival of winemaking in Armenia always depended on the existence of statehood. Winemaking has once again developed during the reign of the Bagratuni dynasty when Armenia was independent. In the pagan times, there was a tradition in Armenia. People boiled flavored liquid from thousands of plants. 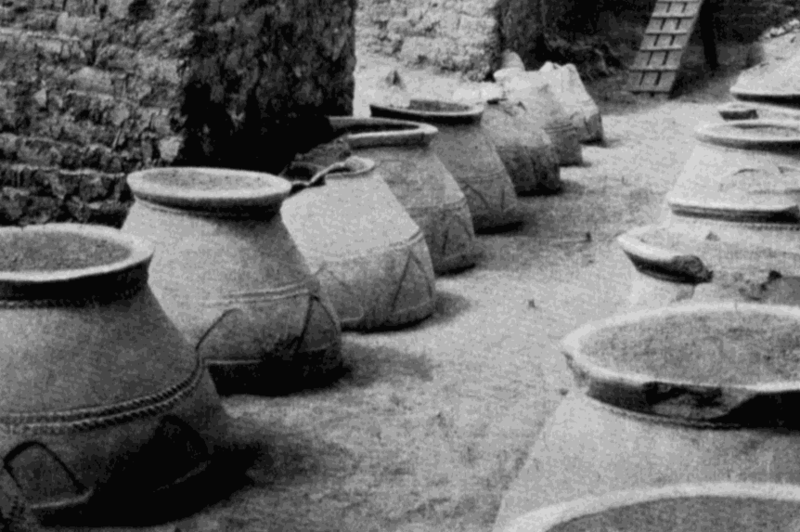 During the 1st century BC, a wine-maker Pargev, who lived in the royal palace of King Trdat, learned to distill alcohol from that liquid. Trdat together with royal retinues and gifts, and also carrying that flavored liquid, visited the Roman Emperor Nero. According to Roman historians, when Nero tasted the liquid, he became happy and delightful. Aside from the legends, it is scientifically proven that the ancient Armenian winemaking has a history of 6,000 years. The studies of grape seeds found during archaeological excavations have proved that during the 6-5th millennium BC, Armenians have adapted wild grapes and have also conducted selective breedings. Some ethnographers and archeologists, exploring wine-cultural biography discovered near the village of Areni in Vayots Dzor, close to the bridge leading to the Noravank complex, in the “Bird’s Cave”, various monuments dating from the Old Stone to the late medieval periods. This proves that people have lived there and have also engaged in grape cultivation. Even beyond the Noravank canyon, there are traces of medieval vineyards. 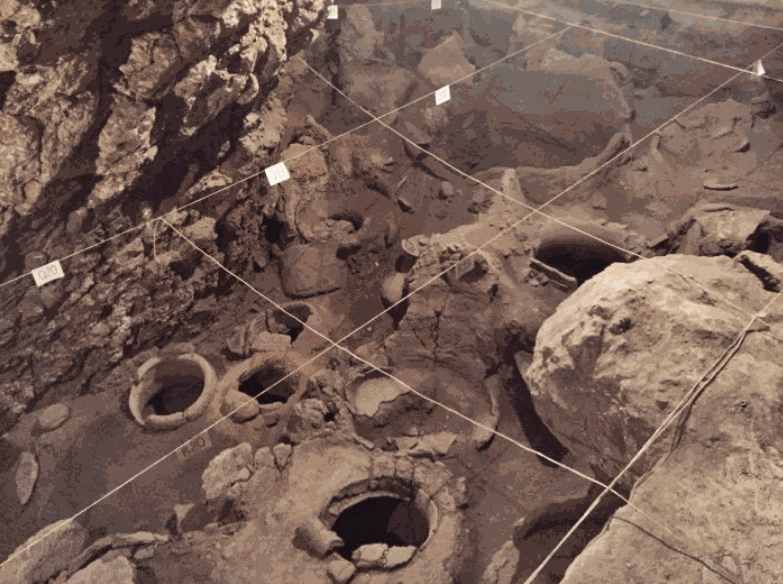 In 2011, the world’s oldest winery was discovered during the excavations in the Areni Complex in Armenia. The winery is 6000 years old. In 2007-2008, due to the excavations, it became possible to discover the remains of material culture belonging to the period of copper and stone age. 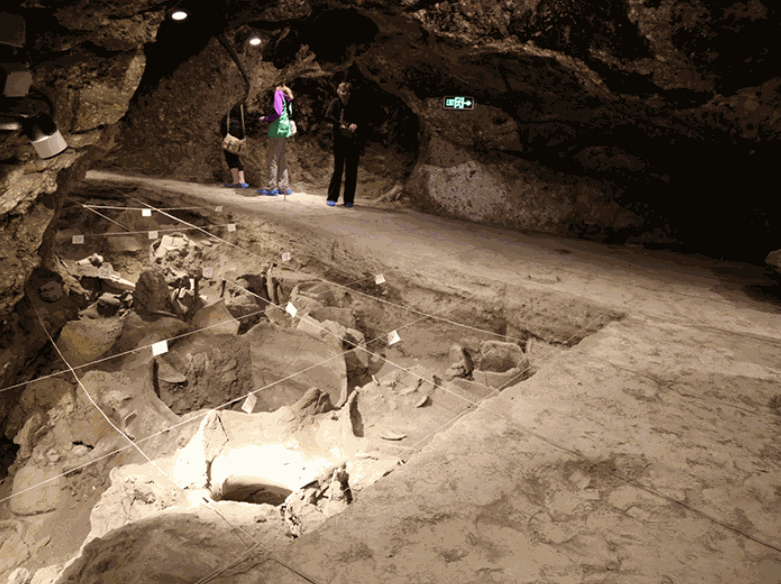 Among them, inside the cave’s first hall, they found a complex consisting of clay structures. The natives of the Armenian Highland have used and preserved winemaking traditions. This indicates that ethnic Armenians are the economic and cultural heirs of the residents of Van Kingdom. About the vineyards of Van, the King of Assyria, Sargon the Second says: “The grapes were falling down like rain, and the wine was flowing like the water of a river.” In the oldest historical information which reached to us, mentions of various manufacturing techniques of wine and beer. Xenophon, in particular, mentions that the Armenian wines were of high quality, old and of a great variety. The methods and technologies of viticulture and winemaking have spread from Armenia to neighboring countries thousands of years ago. During the raids and control of Arabs, Turks, and also Seljuks, many grape gardens have been destroyed. Picture: This complex includes various types of storage facilities. The winery found there caused great interest. Near the winery, there were also the remains of grape seeds. During the excavations, they also found grape-crushing tools, clay pot surrounded by grape clusters and dried vines, and even wine-drinking cup. 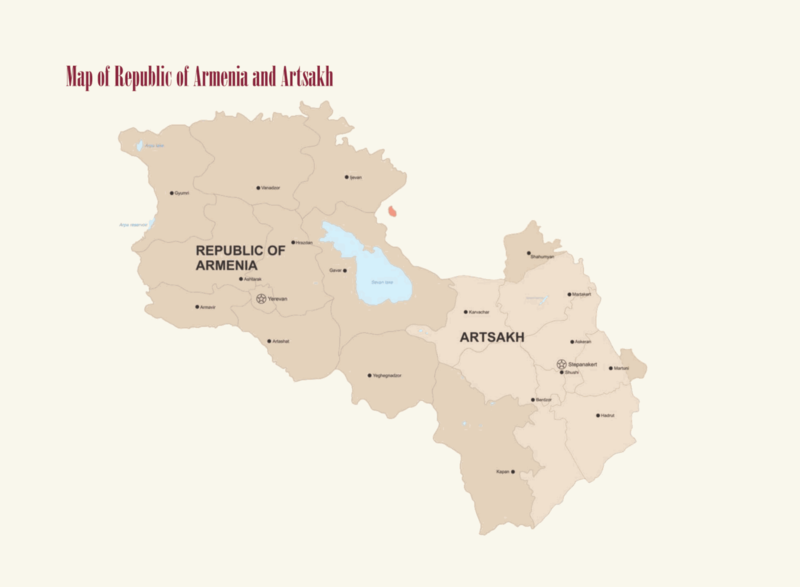 Studies have revealed that besides Areni, there are no more places in the world where such a complex of wine exists. Nearly 2,000 of the 6,000 grape varieties in the world were found in Armenia.The most popular varieties are the Voskehat, Garran Dmak (“lamb rump”), the Black Areni, Karmrahyut (“red juice”), Nrneni (“pomegranate tree”), Azateni, Mskhali, Kangun, Meghraghbyur (“honey aroma”), Nerkarat, Ararat, Shahumyani, Anahit, Armenia, and several varieties with Muscat scent which are currently being cultivated in the Ararat valley. Areni Black is a strong and sustainable type which grows on high, mountainous elevations, hence has extremely unique taste characteristics. DNA analysis has shown that this type has no genealogical connection to any of the currently known other vines. Wines from Areni Black are distinguished by elegance and freshness, the typical aromas are cherry, black pepper, and black tea. 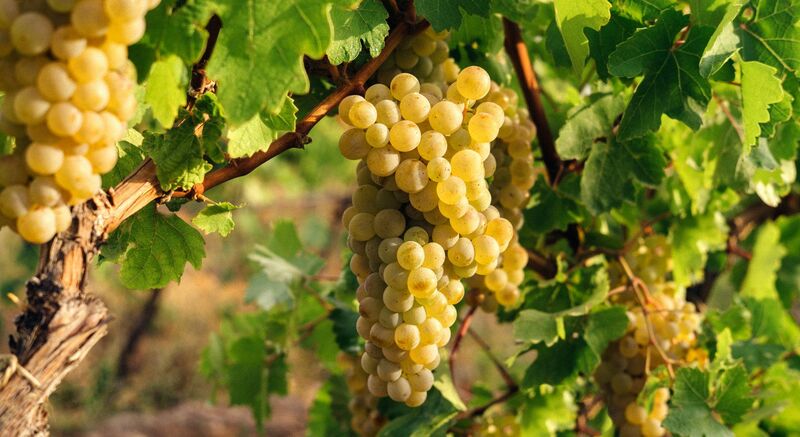 The Armenian grapes have never been crossbred or changed due to the geographical isolation and traditional methods of cultivation in the past 6000 years. In the 19th century, an invasive species - phylloxera (brought in from America) destroyed the vineyards of Europe, leaving the continent with almost no grapes. The ones that survived were mostly the American types that were resistant to the insect.Almost all of the famous wines today - Cabernet Sauvignon, Merlot, Pinot Noir, Spanish Rioja or Italian Montepulciano have American origins because their roots were unable to resist and survive the parasite. In Armenia, the native vines remained intact. The insect simply didn't reach its highlands. Therefore, the authentic, ancient roots were preserved as was the case for thousands of years. Since regaining its independence in 1991, the young Republic of Armenia revives its legendary wine industry throughout the country. Some of the biggest markets where Armenian wines enjoy great success and a new wave of recognition are USA, China, Italy, Canada, Switzerland, France, Belgium and Russia. Armenian wines have been presented in multiple international exhibitions and competitions in Strasbourg, Amsterdam, Shanghai, Dusseldorf and Moscow and have won various awards and medals. The ancient Armenian church – the oldest official Christian church in the world has a dedicated major holiday - The Consecration of Grapes and the Transfiguration of the St. Virgin Mary. It is one of the 5 pillar-holidays of the Armenian Apostolic Church. The Armenian grapes also feature in thousands of medieval manuscripts, murals and the famous Khachkars – the only-Armenian cross-stones that dot every Armenian historical monument in the world. "Heres Wine" is the exclusive representative of the most notable wines from six well-known Armenian boutiques and exclusive winemakers: The Old Bridge Winery, Trinity Wines, Koor Wines, Keush Wines, Kataro Wines and Van Ardi Wines. They embody the unique characteristics of the crème-de-la-crème of Armenian winemaking and grapes cultivation and present an absolutely amazing, unchallenged bouquet of ancient but most sensual flavors of the Armenian wines.